Highly efficient solution for monitoring and fighting flies at homes, shops, and public places. 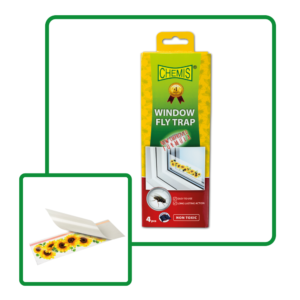 Fly stick is the alternative way to rid of the flies, to the classical fly paper. Device in form of tube covered with dryless glue formulation can be installed either in vertical or horizontal position also can be hanged using enclosed plastic hook. Product Fly Stick Jumbo is one of the most popular pest control consumer products on the US market and now it is available in Europe.